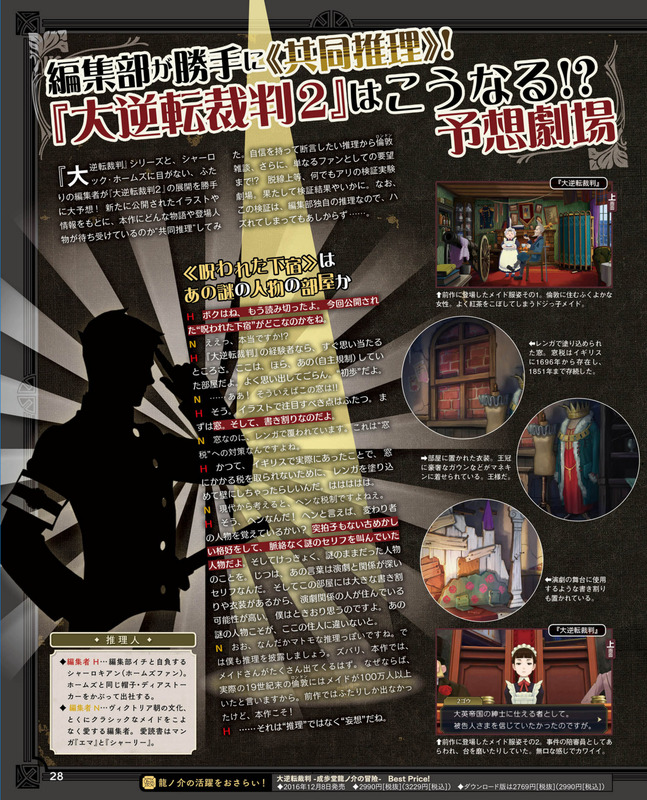 The article promises new information, including a reference to a certain "cursed room for rent" (most likely Souseki's from DGS1-4 going by the pair of DGS1 screenshots provided). Two editors from Famitsu will also be providing their "joint reasoning" about what may happen in the game (e.g. speculation). 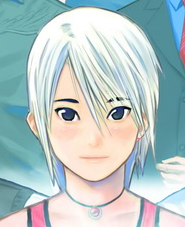 Takumi is the game's director (of course) and Eshiro is the producer. The story will again take place in both England and Japan. 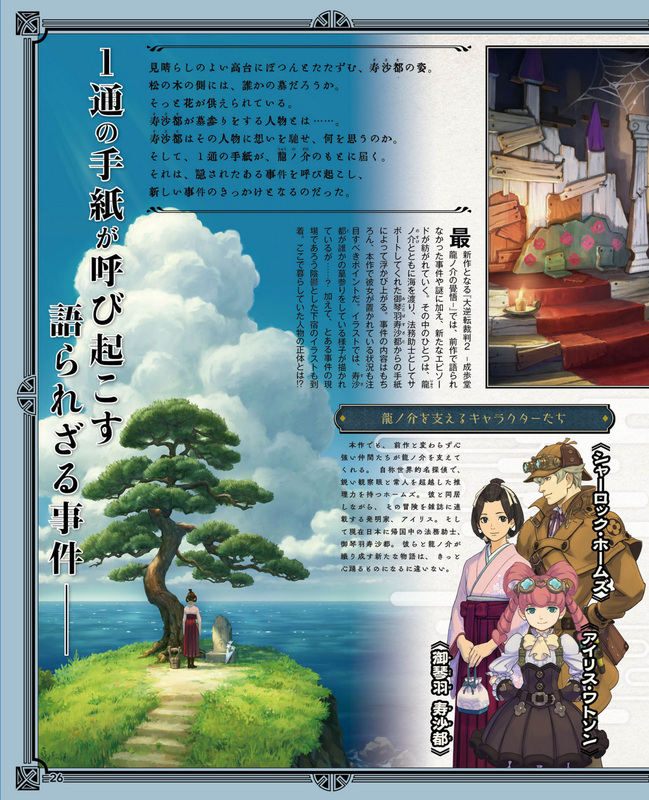 The World's Fair mentioned in DGS1 will play a key part in the story, as well as the aforementioned "cursed room for rent" and the scene of Susato visiting a grave seen in the trailers. The mysteries from the first game will be resolved as well as new plot threads. Development is at about 35%. 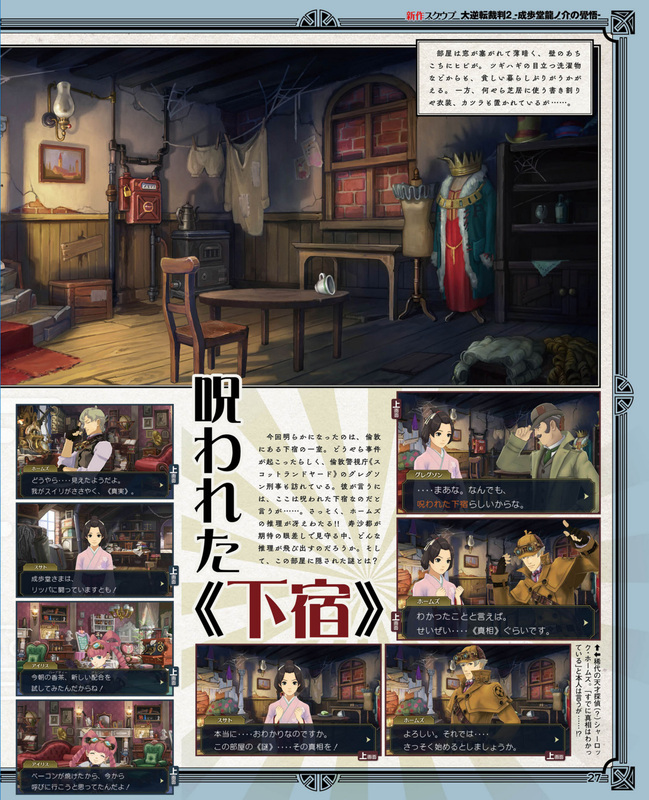 The fulls scans show screens of Ryuunosuke, Susato, Holmes, and Gregson investigating an apartment where a case took place. Going by the decor, it appears to belong to the blonde-wigged actor who made a cameo in DGS1-4. The scans also allude to a letter from Susato to Ryuunosuke discussing a certain case that she had been hiding from him - and a new case that the letter sets off. The end of the 19th century. The last and greatest World's Fair of the 19th century is due to open in the English capital, London. But beneath the surface of this symbol of industry, a shadowy web of connections beckons another case. A tremendous story linking Japan and England once again begins to move. The curtain rises on the second act of Ryuunosuke Naruhodou's grand courtroom drama! It's an event that was already mentioned in the first game. In fact, I remember it said it was scheduled to take place half a year later, so I guess that kinda hints at the timeframe of this game. I knew it! It's the World Trade fair! They're closing THAT up,huh? Well, it is the World Fair, so there's probably a Russian showcase and a Chinese showcase in it (and other countries). That said, I'm curious what kind of case would involve the World Fair and the Crystal Tower. Assassination of an important political figure? Sabotage? Terrorism? 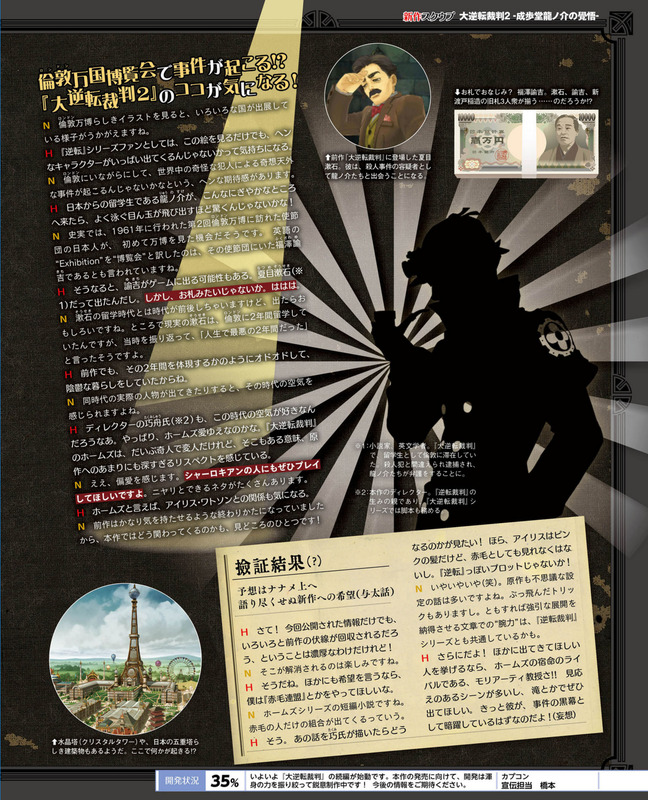 The article promises new information, including a reference to a certain "cursed room for rent" (most likely Souseki's from DGS1-4 going by the pair of DGS1 screenshots provided). Oh boy, the Garrideb's flat. I bet those two mysterious men are gonna be involved in that case! Looks like there's already leaks from Famitsu and... either the leak is incomplete, or there isn't really much in this week's issue. Development is 35% complete, so maybe not a July release. Then again, those dev. % Famitsu always give are confusing as hell. Thanks L~A! Combining that with another report to update the main post. Are we to take this to mean they're hoping for a trilogy after all? 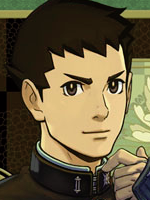 Whether or not DGS3 becomes a reality remains to be seen, but I'm sure Takumi has plenty to cover that can be pushed ahead into a third game. Which already places GK3 in a state of limbo. Especially that Eshiro is producing for this game as well. Too bad, I was looking forward to what new investigative mechanics we could play with. I imagine they have to close up all the plot threads from DGS because of the backlash, so this is probably gonna be the original plan for DGS2+3 in one game. I'd imagine that means less filler cases? do I see Ms. Garrideb and the stereoscope guy from case 5 in the jury picture, bottom right? I hope we see some more new jurors if we're getting old ones on top of it. I think those are all just reused screenshots from the first game. Eshiro as the producer of a Takumi game? Hmm. Interesting. This is actually the first time the two have really worked together on a game, even though Eshiro has produced tons of Ace Attorney titles. I wonder whether Kojima was forced to move away. He worked on JfA though. 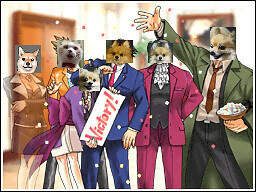 And he's produced the DGS skits. I don't say they have not worked even once, but never on a game. Eshiro was producer of the DS ports of AA2 and 3, but Takumi was busy working with Matsukawa on AA4 at the time. Takumi had nothing to do with those ports (Takumi wasn't even supposed to have anything to do with the port of the first game, if not for the insistence of the producers to add an extra DS episode). 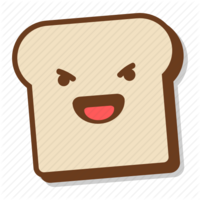 And source on Eshiro working on DGS skits? Because you'd expect the producer of the game in question to be in charge of those skits (the Five-City tour skits were obviously made for Kojima to take along). 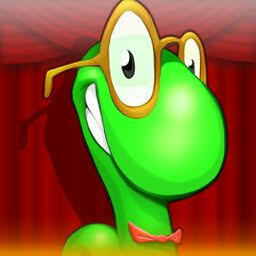 Showing trailers and skits doesn't mean they are the persons behind them. But Kojima was announced as the producer back in September, wasn't he? Maybe Eshiro is filling in until MHXX (that's he's producing) is out, or they have two producers (precisely because Kojima is busy with MHXX). Magazine's out. Don't have time to generate scans at the moment, but it shows a run-down apartment filled with props. 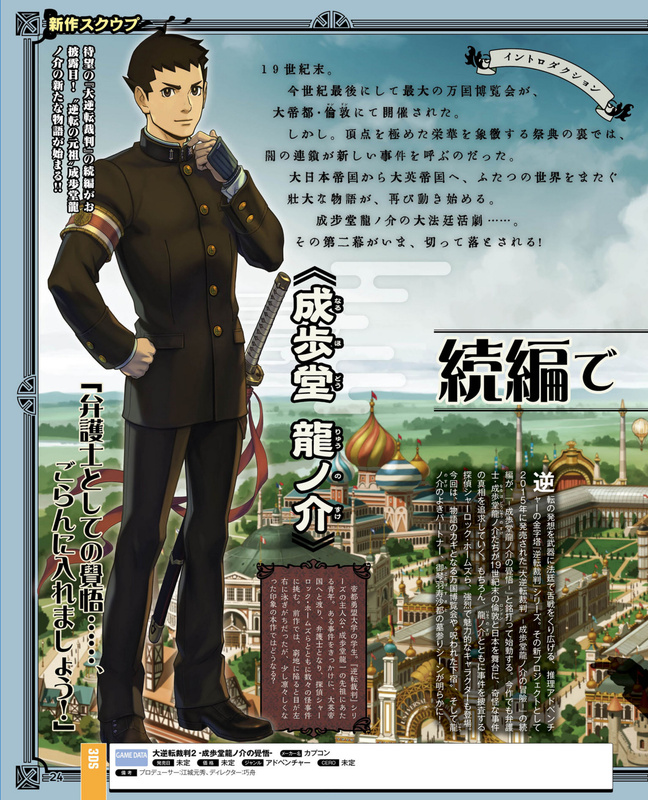 It looks like it belongs to a certain "mysterious man" who made a cameo appearance in DGS1-4. The Hamlet guy or the Horatio guy? Whichever one was wearing a blonde wig. And on that notes, scans added to the first post! Sorry for the delay, but on the bright side, they're much higher-res than what we used to get. Sorry, Bolt, that was a trick question. It's been a while since I've last caught up on the many different plays by Shakespeare, but I think we can expect something out of Midsummer Night's Dream from maybe this case or another. Dunno how much Shakespeare will apply in the World Fair, but there ought to be a performance awaiting the world's audience. And I can't help but feel that Holmes will come up with some odd conclusion about that room like, eh, satanic circus fun house and suggest that they just burn the place before the curse spreads. There's going to be some murder in that room,isn't there? Indeed. They're not just there for haunted attractions. Susato's a big fan of horror, though. Now I'm awaiting Ryunosuke attempting to perform some Shakespeare at some point. It's probably going to end badly. The picture scans look awesome! 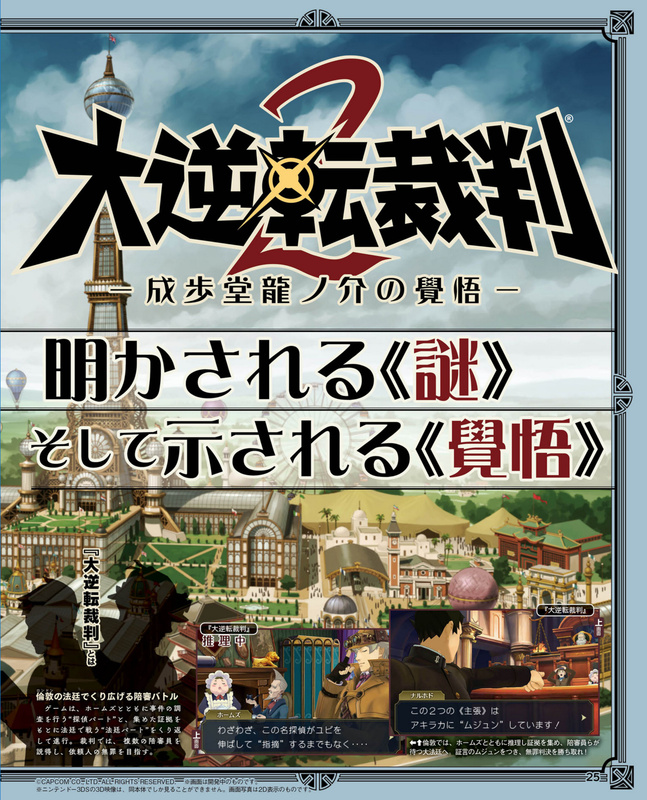 This should be a great game, especially DGS2 will be like a continuation of DGS1. 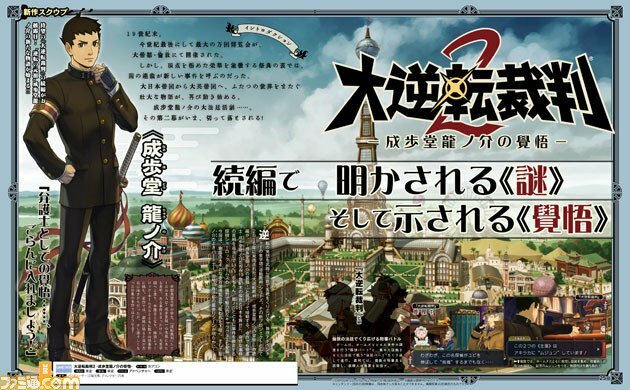 Looking forward to finding out the answers in DGS2 to those unsolved mysteries that were left in DGS1!